Centrally located in the heart of Georgetown DC, the Georgetown House is an intimate boutique inn that offers its guests 11 newly appointed rooms perched directly on the C&O Canal. We pride ourselves on our ability to offer our guests an affordable lodging option in one of the most posh and cultural towns of Washington DC. 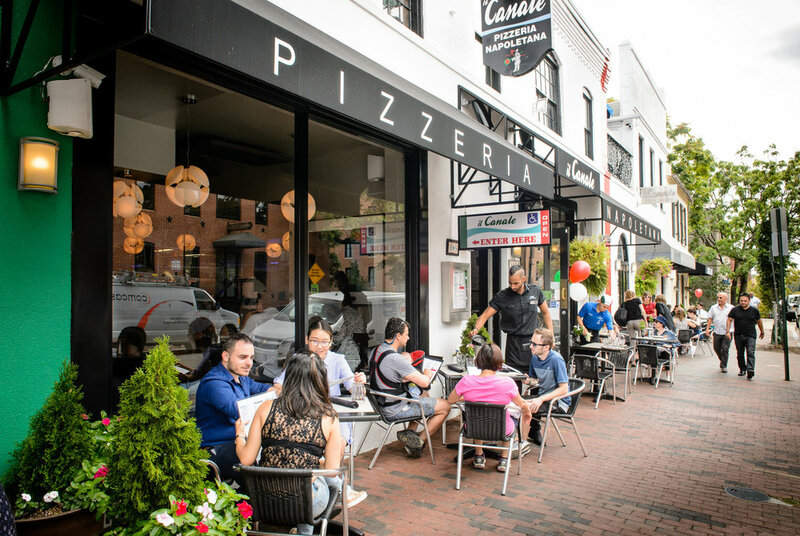 Spend less on lodging and spend more time sightseeing, shopping and dining in one of the finest areas that DC has to offer! Established in the 1830's, The Georgetown House is located in the heart of Georgetown, one of the most affluent and historic neighborhoods of Washington DC. Resting on the C&O canal, this quaint residential-style hotel offers 11 rooms named after 11 (of the original 75 canal locks or access points) that once comprised the canal. All of our rooms are newly refreshed with modern amenities and offer our guests a comfortable and quaint experience while staying in Georgetown. The beauty of Georgetown’s cobblestone sidewalks, grand homes and peaceful C&O Canal are only part of the draw to this tree-lined historic neighborhood – as home to some of the city’s top shops, tastiest restaurants and most luxurious hotels, Georgetown is a favorite of tourists and locals alike.